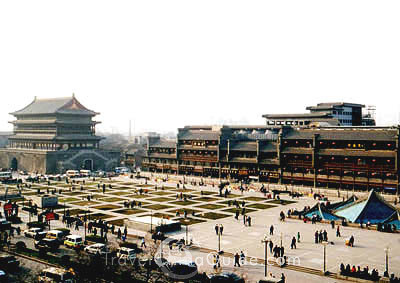 Once the site of the Temple of Confucius during the Northern Song dynasty (960-1127), the Forest of Stone Steles Museum is situated on Sanxue Street, near the south gate of Xian City Wall. 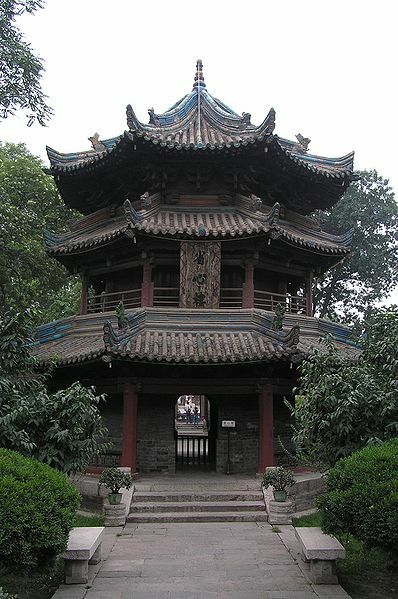 It was initially established in AD 1087 when some precious stone steles were moved here for safe keeping, including the 'Classic on Filial Piety' written by Emperor Xuanzong in AD 745 and 'the Kaicheng Stone Steles' carved in AD 837. 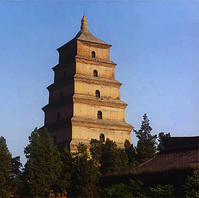 With an area of 31,000 square meters, the Forest of Stone Steles used to be the principal museum for Shaanxi Province since 1944. 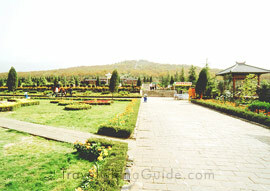 Then because of the large number of stone steles, it was officially named as the Forest of Stone Steles Museum in 1992. Now, please come with me to the exhibition halls. 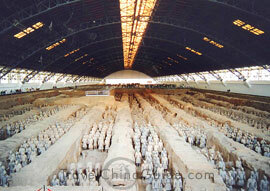 Room One mainly displays 'the Kaicheng Stone Classics', which contains twelve lections caved on 114 steles. The lections include 'the Book of Changes', ' the Book of History' , 'the Book of Songs', 'the Analects of Confucius' and some others of this kind. These are the must-read books for the intellectuals of the feudal society. At that time the printing was under development. In order to well preserve these lections, the rulers ordered to engrave them on the stone steles. 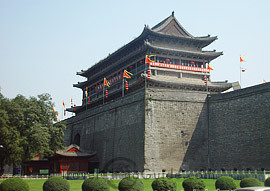 The stone tablets written by the calligraphers during the Tang Dynasty (618-907) are exhibited in the Room Two. It has the collection of the masterpieces of the famous calligraphers as OuYang xun, Yan Zhenqing, Wang Xizhi and Liu GongquanNestorian Tablet is the most useful material for experts to study the cultural exchanges between the Tang Dynasty and the other states. Room Three houses the calligraphy-collection, which is of great importance. As a traditional art, calligraphy occupies the same position of importance as the painting in the history of Chinese art. In China, the scripts are classified into five categories: seal script, official script, regular script, running-hand and cursive-hand. Through these tablets, you could learn much about the evolvement of the Chinese haracters. Painting Stones in Room Four were engraved with historical records. You could see the portraits of Confucius and Bodhidarma on some and the allegorical pictures and texts written to appear like pictures on others. 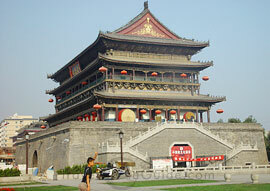 In ancient times, the rulers of different dynasties preferred to build temples and solidify the city wall. Some records of this form of Song, Yuan, Ming and Qing dynasties engraved on the steles are preserved in Room Five. Of course, if you enjoy the poetic inscriptions, you would certainly want to go to Room Six. Emperors, noted ministers and well-reputed calligraphers of various dynasties have left many inscriptions, some of which are shown in Room Seven. 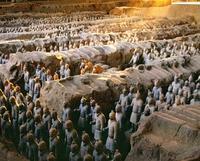 The Stone Sculpture Gallery was built in 1963, including mausoleum stone sculpture and religious stone sculpture from Western Han Dynasty (206BC-24AD) to Tang Dynasty. 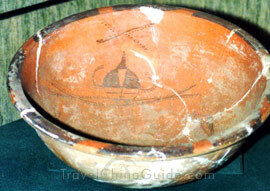 It is prized as a great treasure in the art of world stone sculptures.